Traveling with your dog can be fun and exciting if you plan ahead. Whether you have a dog, cat or any other little creature, you can take your pet on a trip and enjoy their company while on vacation. 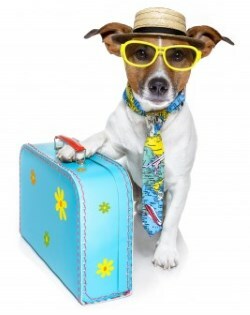 Pets need a vacation sometimes too, and many pets enjoy traveling. Before you leave home, check your pet vaccination records to be sure that your pet’s vaccines are up-to-date. It may be a good idea for your pet to have a physical too, especially if it is close to the one year mark of its last examination. Bring your pet’s vaccination records and any medications that it may need with you on your vacation. Take a picture of your pet and keep it with its records in case the pet happens to get lost while you are on vacation. If you are traveling by airplane, you will need to book a space for your pet when you buy your airline tickets. Most airlines severely limit the number of pets allowed on a flight and many times only allow one pet on board per flight. If you think your dog will be stressed by flying, you may need to get a light sedative for the flight. Avoid feeding your pet before the flight, but never withhold water. If your pet is small enough to fit under the seat in front of you, this is probably the best way for your pet to fly. Be aware that you will not be allowed to take your pet out of its carrier during the flight, but you can take it out at the airport after you exit the plane. Driving with your pet is a great way to spend time together. Be sure to plan to make frequent stops so that your pet can get out of the car and walk around. Make sure that you do not forget your pet’s leash, as you will need it at the rest areas. You can even purchase a harness and a leash for a cat or small animal so that they can get out of the car for a while too. Don’t forget to pack the pet waste bags so that you can clean up after your pet. If your pet uses a litter box, you can set up a temporary litter box by using a small plastic bin. 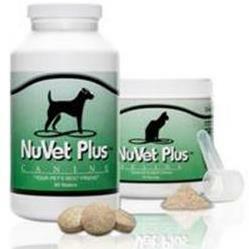 No matter where you go on your trip, always purchase your pet food before you leave home and bring it with you. Many pets have sensitive stomachs and may become sick with diarrhea if you suddenly switch their food. Sometimes you may not be able to find your pet’s favorite brand of food in different areas of the country, so you should plan to bring enough pet food for your entire trip. Don’t forget to pack your pet’s food and water bowls too. If you are planning to stay at a hotel or condo, be sure to check with the property to see if they allow pets. Many places do accept pets now, but you may have to leave a small deposit or pay an extra cleaning fee. Make sure that you are prepared to pay these additional fees so that they do not cut into your vacation budget. You may need to pack a crate or decide ahead of time what you will do with your pet when you have to leave it alone for a little while. 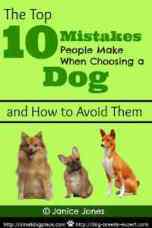 If your pet tends to be destructive, you do not want to leave it in a strange place all alone and come back to your room to find a mess. Here's a quick travel checklist you can use when packing for the trip. Except for the crate and/or dog bed, all of the items will fit comfortably in a backpack for easy carrying. No matter how long or short your trip lasts, you can have a fun and relaxing time with your pet if you do a little planning. A vacation is a great way to spend an extra time with your pet and give it the extra attention that it deserves.